Icon American photographer Herman Leonard captured the jazz scene of the 1940s, 1950s and 1960s through his unique, smoke-filled portraits of Miles Davis, Louis Armstrong, Chet Baker, Ella Fitzgerald, Billie Holiday, Dexter Gordon and many others. 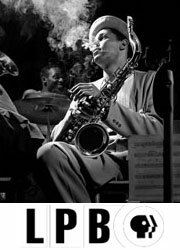 In conjunction with our current exhibit, Herman Leonard: Documenting the Giants of Jazz, the GRAMMY Museum is offering a film screening of two documentaries regarding Herman's life and his work. Frame After Frame offers a comprehensive overview of Herman's work, with narration and appearances by Tony Bennett, Quincy Jones, and other friends. Saving Jazz focuses on Herman's time in New Orleans, and the effects of Hurricane Katrina on his archives. The film screenings will be followed by a conversation with GRAMMY Museum Executive Director Bob Santelli and Stephen Smith of the Herman Leonard Estate. This screening is made possible through the generosity of Louisiana Public Broadcasting and the BBC.